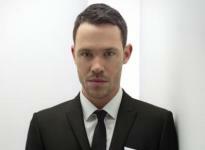 Just under seven years ago, Will Young became the first ever winner of Pop Idol, edging out the more-fancied Gareth Gates in a gripping final. Fast forward to 2008 and Young has just released his fourth studio album, Let It Go which has, yet again, arrived to critical acclaim. So how has Will managed to maintain his popularity where so many other talent show winners have failed? We caught up with Will as he sets out to promote his new album. I’ve been up to loads! I'm going on Top Gear so I went to have a two-hour practice at Silverstone with my brother so that I’m not crap when I go on! I've also just been filming with really big horses for my next single, 'Grace'. On Monday I spoke at the Oxford Union which was all very scary and then I've got X-Factor this week - it's all very varied, but I love it. You, of course, won Pop Idol. You are the most successful male single artist to have won it. How've you managed to maintain your popularity? I think it's about timing and the material; if you don't have the right song, it's not going to last. For example, Leona Lewis is a fantastic singer and has fantastic songs. It doesn't matter if you don't write your own songs as long as you have good ones. I think it's about luck and what music's being enjoyed at the time. No career will just go up and up and up. So the new album, Let it Go, is full of quite a lot of love songs. What's your favourite song on the album and do you mind falling into a Phil Collins-esque chasm? 'Grace', the next single is my favourite, so I was chuffed when that was announced as a single. It's a great pop song and I'm proud of it as musically it's very good. I like writing love songs and that's where I get my inspiration from. This album has been received the best of all of them. There's musicality in there and it's a very personal album. If I end up being in that category then there are worse places to be. Some have compared it to 'Older' by George Michael, do you think that's a fair comparison? Well, funnily enough I listened to that album recently...it's an amazing comparison but I think his is very effortless and just better. It's a great comparison, but maybe because we're both gay artists. We're both solo singers who are gay, but I'd much rather be compared to George than Phil Collins. How do you feel about going back to see Simon on X-Factor, who many would argue didn't believe in your ability to win, despite claiming 6/9 of the phone votes against Gates? I think it's brilliant! The Simon Cowell thing is, like, fine - that's so history and it just adds a bit of fun to it. In fact, I feel quite nostalgic, and I was really nervous but now I'm quite nostalgic as I've done the mentoring and I'm going to perform 'Grace' on the Results Show. I feel quite chuffed with myself actually, it's been seven years, I'm still around and I get asked to mentor. Whenever I've seen him since Pop Idol he's always been very generous - if he didn't like me he wouldn't have me on. Would you ever consider leaving music to pursue something else for a while? I actually get a lot of satisfaction from teaching people how to sing- it’s my favourite thing to do in life. I took a break from music when I did a play in Manchester - I'd fallen out of love with the music industry as it felt more like a business. All the talking that I do is worth it as it enables me to do what I love - sing and tour - and as long I love what I'm doing, I won’t give that up. Let It Go was released through Sony BMG on 29th September 2008, with Young's new single, 'Grace', out 1st December.